It was one of the best books iv ever read (right up there with 'Start With Why' and 'Sapiens'). I couldn't put the damn thing down (and I can barely read, just ask my old English teacher Mr Worrell). If you haven't read REWORK by Jason Fried and David Heinemeier Hansson - do it!. Both have an outlook on business and life that is deeply refreshing. Unafraid to challenge the status quo, they try things at their company Basecamp others are afraid to, on an endless mission to explore. They have broken all the rules and won. Again and again they've demonstrated that the regular way isn't necessarily the right way. Talking on a very personal level, Jason has had a huge impact on me and my operation. REWORK and his blog www.signalvnoise.com has shaped my outlook on working life and inspired my decision to leave the security of my job 'within the system' and go create. After multiple jobs, I couldn't shake this voice in my head that said 'there must be another way, is this all there is'?. Deeply unfulfilled - suffocatingly micro managed and told to sit in the corner with ideas - I felt I needed to take massive action. In short, Jason is THE man. He is massively humble, passionate about design and deeply curious. 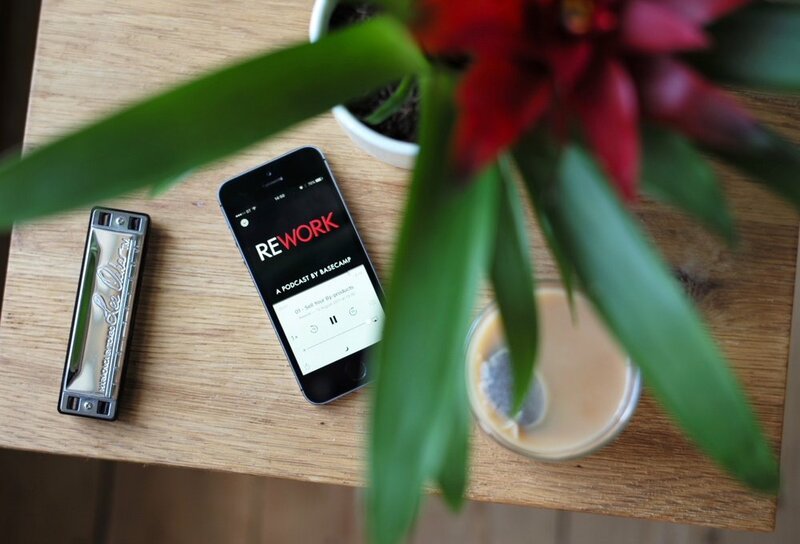 The good news is that he and his team at Basecamp, have just launched the REWORK podcast. Continuing on from the ideas he developed writing REWORK - the podcast is new out this week, focused firmly on exploring better ways to work and run businesses. Having just listened to the first episode called 'Sell Your by-Products'. It explores the very foundations of the book prior to its release in 2010, and how it very much started as a blog (before the word existed). This then developed into a community and then insight into opprtunities for Basecamp (or 37signalsas it was then). Get after it and give the first episode a listen here.